Subtracting Decimals Mystery Pictures Task Cards/Flip Cards. 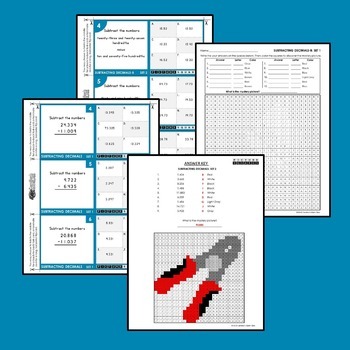 Motivate your kiddos to learn subtracting decimals with these 'supercharged' cards. Once they're done, they'll ask you for more. 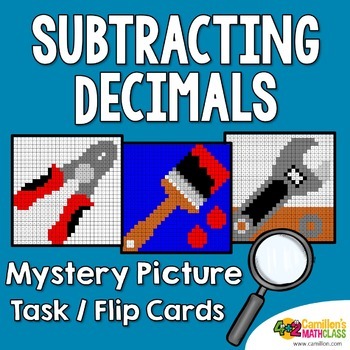 Kids love solving mysteries, and they will enjoy uncovering the mystery picture after answering all the cards in this subtracting decimals mystery picture activity.